When students don’t pass the big test on the first try, they are often doomed to hours of practice–practice answering questions on mock tests and hearing teachers explain why their answers are wrong. Again. 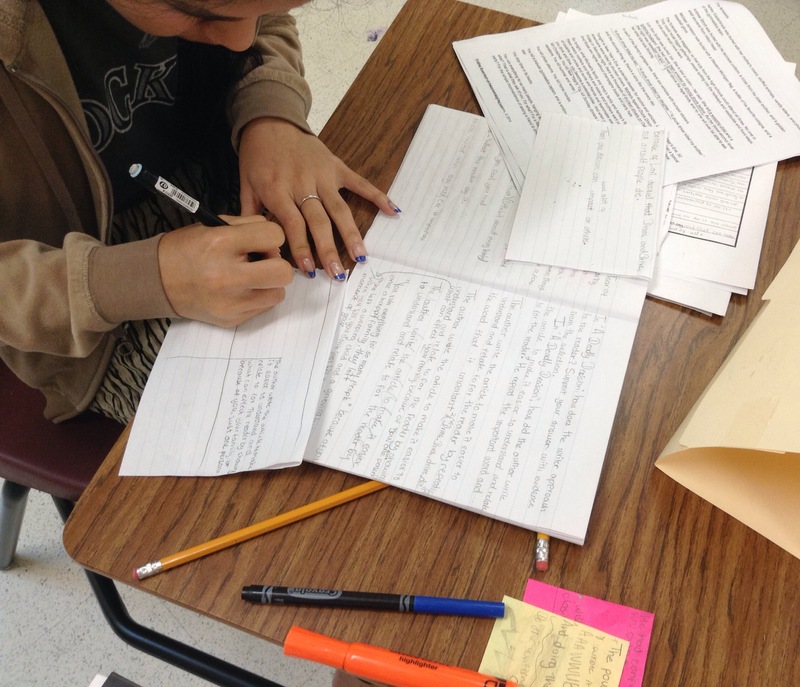 These teachers have framed these lessons as a “writing camp” for students–a series of experiences intended to invite students to build confidence, enthusiasm, and stamina for writing. With one district, the teachers led a one-day Saturday camp a few weeks before the test. With another district, they helped high school and middle school teachers prepare for after-school-tutorials-as-writing-camps. 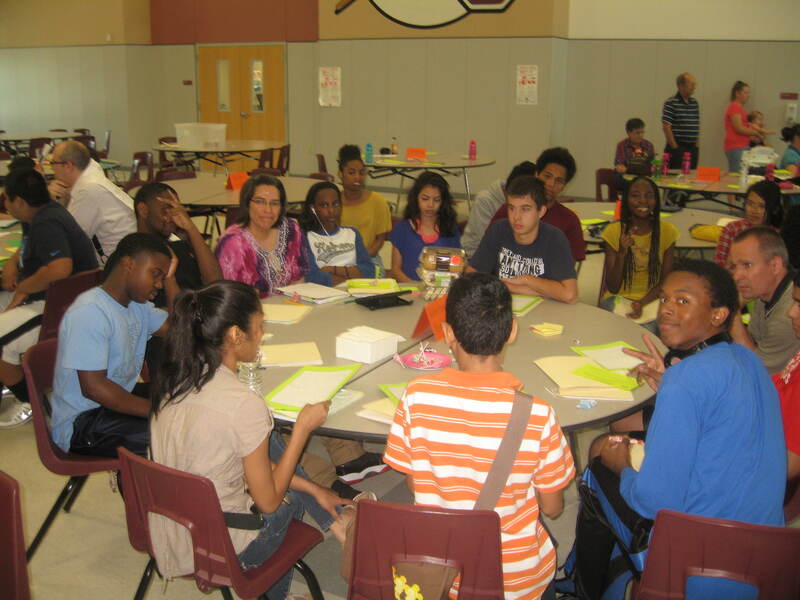 That worked so well that the district invited them back for the summer, to lead an eight-day writing camp for 9th and 10th graders who were eligible to re-take the state test in July. During the camp, the students read engaging articles and essays–informative and persuasive–just like they would see on the test. They analyzed those essays to think about the author’s decisions. And they wrote and wrote and wrote. Finally, they shared what they wrote with real audiences–not just with their teachers. These teachers and students were engaging in AUTHENTIC reading and writing–reading and writing about relevant issues, voicing their insights and opinions, framing their messages to be shared beyond the classroom. This video, which was shared at the final celebration on t he 8th day of camp, captures something of that authenticity and the genuine excitement and confidence that these students felt as authors. 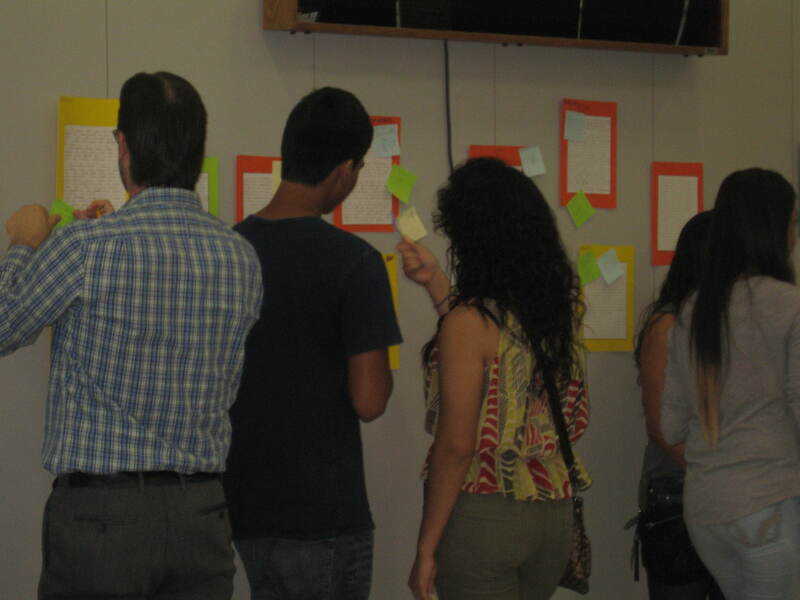 In this picture, the students had posted their final essays on the wall for all to read. As readers, they posted responses on sticky notes. 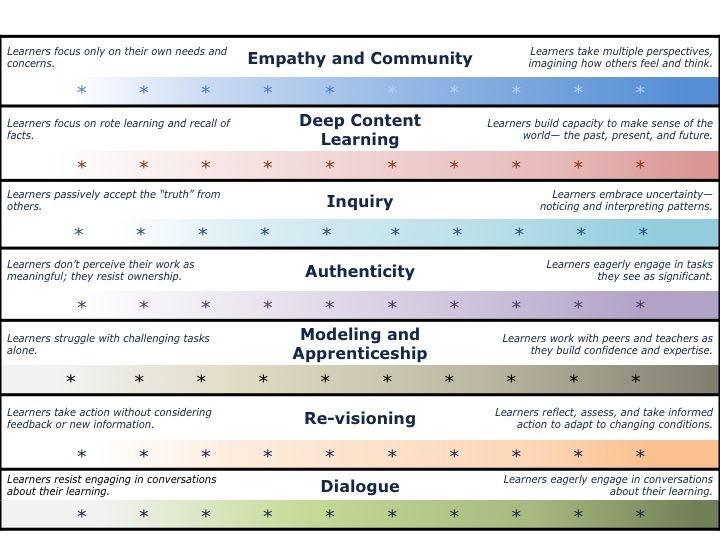 Authenticity is just one of the seven patterns of generative learning that Human Systems Dynamics practitioners point to as a goal for educators who want to transform schools. The authentic reading and writing integrated into the Finding True North camp experience does prepare student authors for the state test . . . and for life beyond our classrooms. But in these camps, we also see other patterns–like empathy, inquiry, dialogue, and apprenticeship. No pattern stands alone because complex systems generate many interdependent patterns. Some scientists talk about “massively entangled” systems in which you can try to influence one part of the system. A school is a powerful example of many massively entangled systems, and when a teacher makes a single change, we often see other changes ripple across the whole system. If we want to change the whole system, we can focus on one or two patterns — like authentic reading and writing — and then stand back to see what happens. Small shifts can make make a big difference. Authentic writing opportunities can make a difference in the lives of your students. 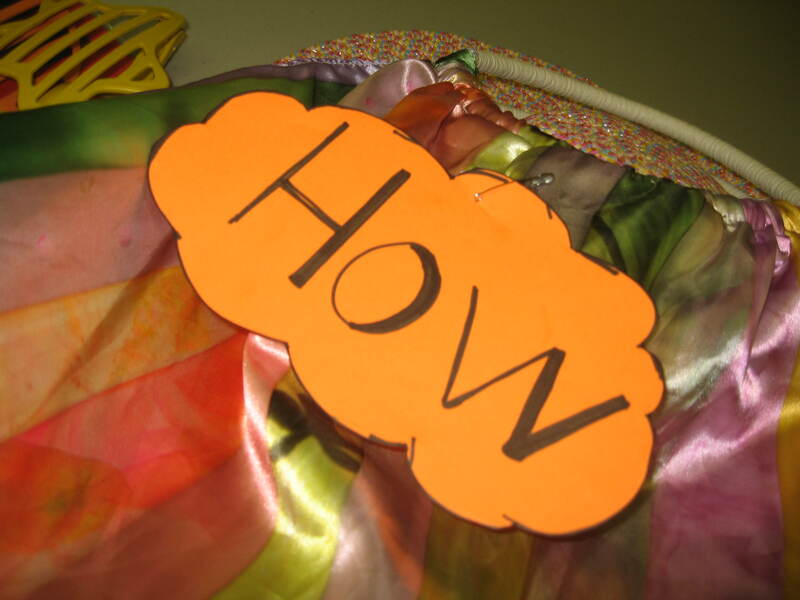 These blog posts explore options for action — suggestions for transforming schools by applying concepts and principles about how complex adaptive systems work. The emergent field of Human Systems Dynamics informs both our theory and our practice. Dear Educators . . . Your most urgent challenges are daunting. There are too many moving parts to control, and you can’t predict what will happen next. You can no longer rely on the “way we have always done it.” This blog is meant to help you adapt to this ever-changing environment in creative and effective ways. We are a group of teachers, administrators, parents, and professional development leaders who view schools as complex adaptive systems — open, diverse, and unpredictable! Through Human Systems Dynamics, we are learning to set conditions for generative learning in schools. SO WHAT does it mean for all of us? NOW WHAT shall we do next? We can use these questions with students, with colleagues, and with parents and community members. It works with problems both big and small. The posts on this blog will be from people who are using Adaptive Action everywhere in the schools system. We hope that you can recognize yourself in these blogs and that you will join our conversation.